When we visit you at your Childcare Centre or Kindy you will have the opportunity to cuddle and feed baby lambs, kids, piglets, guinea pigs, rabbits (not in Qld) , ducks and chickens. We even have Alpacas, (depending on season)!. 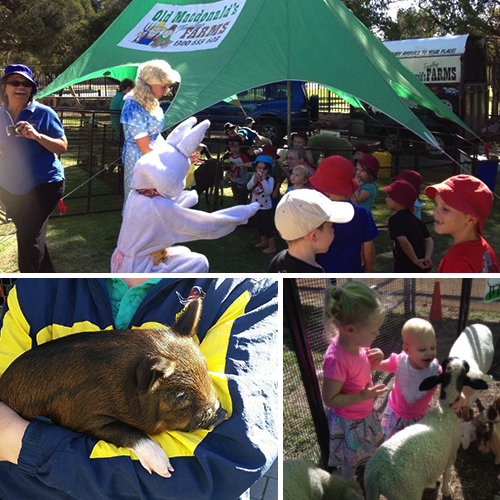 During our introductory talk, our trained presenters will introduce you to our baby farm animals. 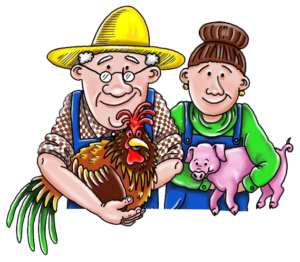 You will learn about where each animal lives and what they produce for us. Our babies need lots of love and care so you will be able to help us to groom them and join in the bottle feeding session. 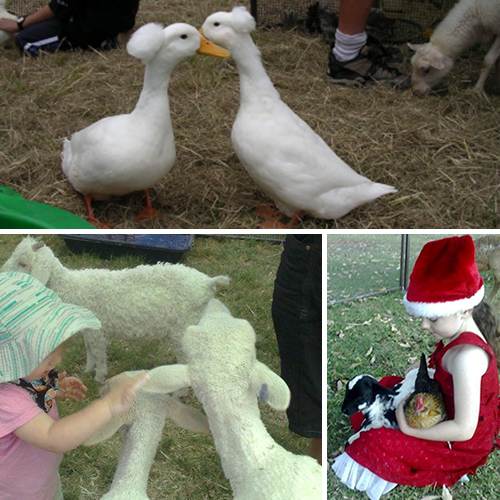 Child Care Centres and kindergartens love to have an Old Macdonald’s Farm as part of their Christmas Party /Break – up Celebrations. For health reasons antibacterial hand gel is provided. Please remember to wash your hands with water as soon as possible!